Most biological tissues are highly scattering, and, at resonant wavelengths, have strong absorption from chromophores such as oxyhemoglobin and water. Optical properties of tissue can vary considerably with time, due to actions that are either deliberate (e.g. application of “optical clearing” agents) or unintentional (e.g. dehydration of ex vivo tissue samples). 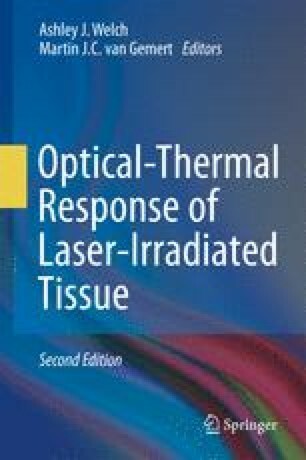 During photothermal therapy, dramatic shifts in optical properties can occur due to high temperatures and reversible or irreversible biochemical reactions. An understanding of dynamic tissue optical properties is important for at least three reasons: (1) implementing tissue handling protocols that assure repeatable optical property measurements, (2) developing mathematical models that accurately predict therapeutic outcomes, and (3) manipulating tissue optical properties to enhance diagnostic information or therapeutic efficacy.